The following is a list of birds currently up for adoption. Due to the costs involved with the care of these birds (such as vet care, food, toys, etc.) 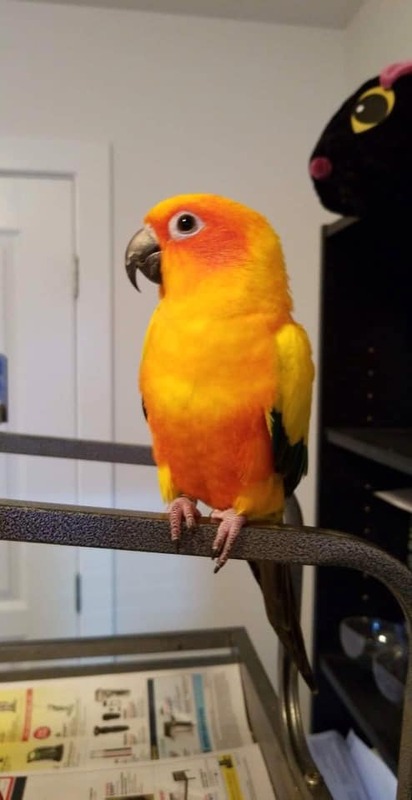 we do charge an adoption fee for all of our birds. If you are interested contact info@saskatoonparrotrescue.ca for more information or fill out an application form. We have an adorable pair of bonded birds up for adoption. A cinnamon conure and a pineapple conure! Bob and Houdini are fully flighted and would probably do best in a home where they are safe to fly around. Bob will step up and give kisses, but Houdini needs a little more training. They can get loud, as most parrots do when they want attention. They are not DNA sexed. They seem okay with children. 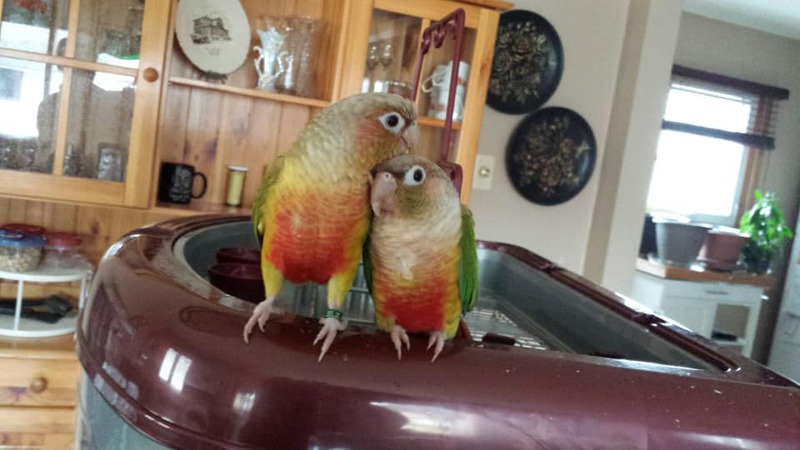 They're okay with other parrots in the house, but not so much with other animals. If you think these two would make a great addition to your home, please fill out our on-line application or contact us. Introducing Iago! We will post more info after she's been assessed. 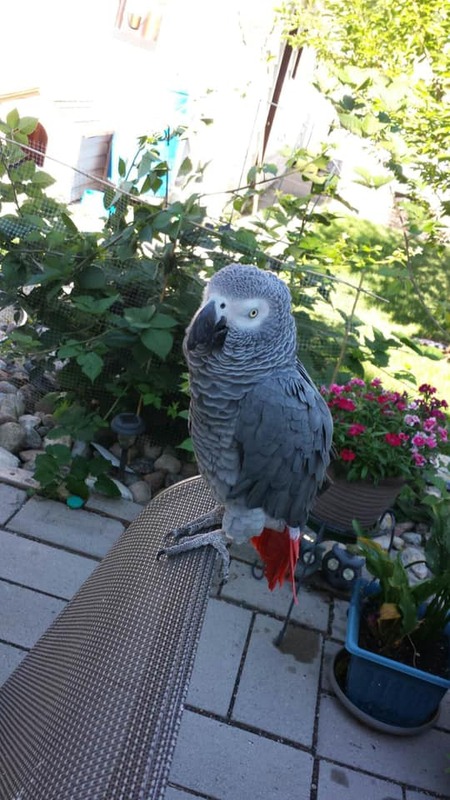 George is a 12 year old extremely adorable African Grey. He's missing a few toes, but that doesn't slow him down! He loves, loves, loves head scratches and does not hesitate to bow his head down to receive them. He also gives kisses. He does step up and is happy to hang out on your shoulder. Although he can't (or doesn't want) to fly, he's quite content to hang out all day on his cage or perch. He is currently on trial in his foster home.